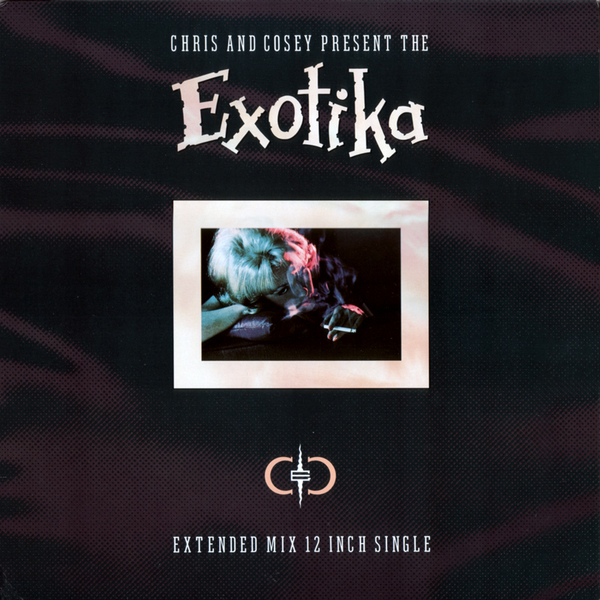 Vital reissue of Chris & Cosey's fourth album proper, 'Exotica', fully remastered by Chris Carter. Originally released in 1987 and pretty much unavailable on vinyl ever since, 'Exotica' sees a slight shift into more club-friendly EBM/Electro, especially with the definitively anthemic title track which has since become the duo's calling card as much as anything else they've released. In the likes of 'Dancing On Your Grave' or the flashy machine funk of 'Beatbeatbeat' we can also hear clear precedents for the likes of Autre Ne Veut and Twins, but we should remember that all the technology that went into these tracks was totally cutting edge at the time, from samplers to new digital synths and drum machines, lending this LP a timely sense of dedicated futurism. The exotika of the title can be felt in the cyber-sensuous Latin percussion and haunting synths of 'Dr. John (Sleeping Stephen)' and equally the simulated fourth world ambience of 'Irama', firmly enhancing its milestone status for dark and unexplained 80s electronics and dance music in general. Back in stock - Vinyl Re-Press. Restored and remastered by Chris Carter from 24bit 'baked tape' transfers of the original tapes.